• Every 9 weeks there will be a sign up sheet. • Everyone is to sign up for them every 9 weeks. • They are going to be presented every Wednesdays. 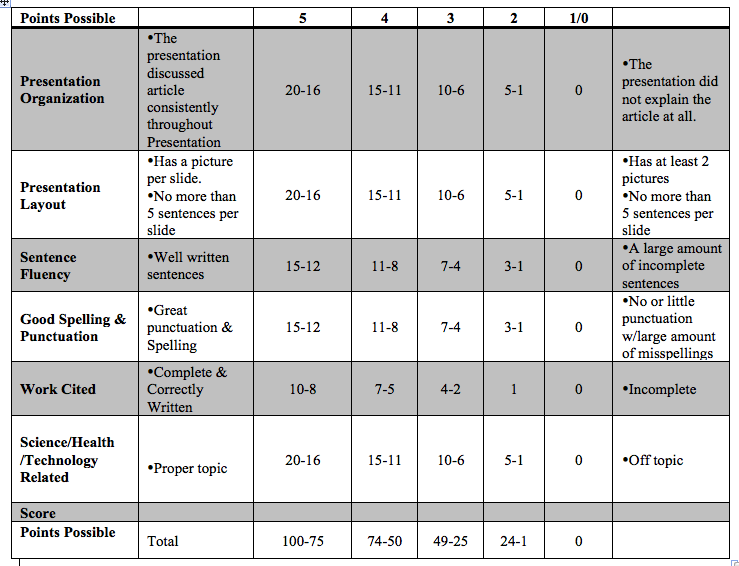 Example and definition of work Cited for online article. Provide the author name, article name in quotation marks, title of the Web magazine in italics, publisher name, publication date, medium of publication, and the date of access. Remember to use n.p. if no publisher name is available and n.d. if no publishing date is given. Bernstein, Mark. "10 Tips on Writing the Living Web." A List Apart: For People Who Make Websites. A List Apart Mag., 16 Aug. 2002. Web. 4 May 2009. Example and definition of work Cited for magazine article.